Host Matt Price is a recovering politico now working in technology, business and marketing and searching for the meritocracy. His addictive interview podcast "The Conversation" was borne out of his desire to talk to people who really care about what they are doing and are focused on making things better. In episode 10 of our hit new podcast, "The Conversation," host Matt Price interviews State Senator Joyce Elliott. Price and Elliott discuss how the Little Rock School District has become what it currently is. Elliott talks about how she got into teaching. Learn why separating our children is a mistake. In this week's edition of our hit new podcast, "The Conversation," host Matt Price interviews Pulaski Heights United Methodist Church Pastor, Britt Skarda. Rev. Skarda talks about the process behind creating a sermon and then they discuss the state of christianity in todays culture and politics. Next episode's guest is Sen. Joyce Elliott. In this week's edition of our hit new podcast, "The Conversation," host Matt Price interviews ATLA President Jesse Gibson. Jesse and Matt discuss Issue 1 about tort reform and the nursing home industries role. In this week's edition of our hit new podcast, "The Conversation," host Matt Price interviews Apptegy CEO and Founder, Jeston George. Jeston tells Matt about how he came up with the idea for Apptegy and talks about how different things are now that they raised a $5.7 million Series A investment. In this week's edition of our breakout new podcast, "The Conversation," host Matt Price interviews KATV Meteorologist Todd Yakoubian. 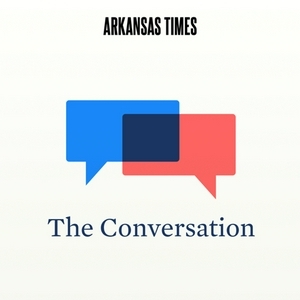 They cover a range of issues including climate change, why the Ozark Mountains are the reason Little Rock doesn't get much snow and fake news in the weather world. Matt Prince interviews state Rep. Warwick Sabin, who is exploring running for Little Rock mayor.